Happy Thursday! I hope your day is going well :) Here is another installment of Beauty Crave (haven't done one of these in awhile either LOL!) In this post I will be showing you all some beauty products that can be found in Sephora, that I am interested in and find intriguing. 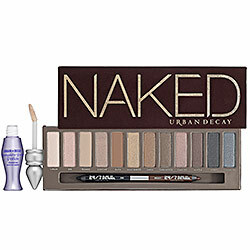 When it comes to eyeshadow palettes, Urban Decay sure knows how to pick them and make them. I am so excited about the new Urban Decay Naked eyeshadow palette which contains 12 neutral eye shadows that I am sure will tickle anybody's fancy. As far as finishes go, the Naked palette contains shimmers, satins, mattes, and metallic-Love all of these different choices! I see the Naked palette being appropriate for those who want a simple, neutral day look and it can even work for creating a more smokier eye for nights out. I love the color gunmetal (metallic gray), it looks amazing. The Vegan eyeshadow palette is a great palette. 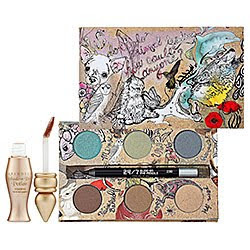 It contains 6 vegan eye-shadows that is sure to win the makeup hearts of many animal lovers :) I wish more makeup companies wouldn't test on animals or use animal-by products. This palette includes neutral-like colors, and they even added a nice pop of teal blue and icy green. And as usual with most Urban Decay eyeshadow palettes, it comes with a pencil eyeliner in Zero (black) and a mini primer potion in Sin which is a frosty champagne color. How adorable is the packaging? Love! Have a great one loves! Nice! I recently did a post, products I am lusting over too.. I think I will do that as a monthly thing cause there are always products that I want to try out. 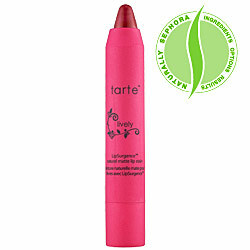 That tarte lip stain is on my list too, I saw channelesque do a review of it on ty, and possibly others, don't remember and it looks really nice.